Jordan is one of the Middle East’s prized tourist gems. It is a unique destination with a variety of attractions ranging from historical, cultural and natural. There are amazing cities soaked up in history, culture and crowned with architectural wonders some ancient and some modern and they include Petra, Jerash and Bethany. The golden desert is impressive with its ancient desert castles and other stunning wild landscapes that are normally less visited yet accessible via a number of options; hot air balloon rides, horse riding or in 4×4 vehicles. Jordan holidays also cater for the luxury traveler who wants to combine a visit to the ancient sites, a swim and a game of golf or tennis by setting up luxury resorts all over the major touristic areas. There are also vintage steam powered train rides available to explore the deserts where great revolts and attacks ensued in the past. Take a dip in the Dead Sea and soak up in the rejuvenating mud to heal your body and soul after exploring the harsh desert. Botswana is one of the ultimate luxury safari destinations in Africa offering vast tracts of unspoilt wilderness. These wild-lands are home to herds of game in their natural habitat roaming unrestricted between the harsh Kalahari plains and the pristine waterways of the Okavango Delta. With its network of private reserves dotted with just a handful of small yet luxurious safari lodges Botswana safari tours offer near exclusivity. Whether you are the watching the lions stalking their prey, or taking magical mokoro trip with the sunset as your sole witness , you will find that you are the only sole spectator of these compelling natural activities. You are unlikely to come across any other soul treading these exclusive private parks. Another option for the private parks is the luxury of night drives which are exclusive only to Botswana, though they come at a price tag, the thrill is rewarding. The other option of the public parks has a few restrictions such as no night drives, but they still offer superb wildlife sceneries with an option of fixed lodges or luxury tented safaris that move from one region to the next. Uzbekistan is a landlocked country in the Central Asia whose history goes beyond imagination; its major cities thrive along the Ancient Silk Road which was used as a trading route for caravans traversing the continent. The caravans left remarkable legacies along the routes in form of temples, forts and ruined cities which make Uzbekistan the jewel of Central Asia due to its numerous historical treasures. 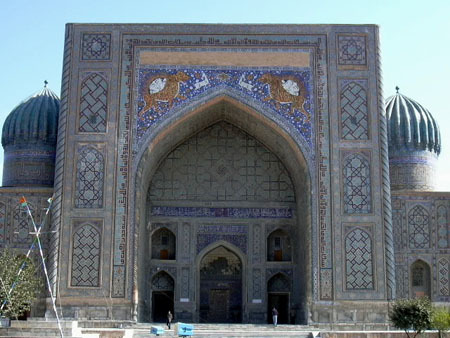 Some of the cities along the route include Bukhara, Tashkent, Samarkand and Khiva and they are awesomely rich in history. The Uzbekistan interior is richly diverse with deserts and plateaus that make you feel like you stepped onto extraterrestrial landscape of a distant planet. The Uzbekistan Mountains may not be as high as the Alps or the Himalayas but a trek through this natural wilderness will reward you with ancient sites and rock art and are certainly worth including on an Uzbekistan holiday. With the government putting more resources into the tourism industry, luxurious holiday accommodations are littered all over the region.